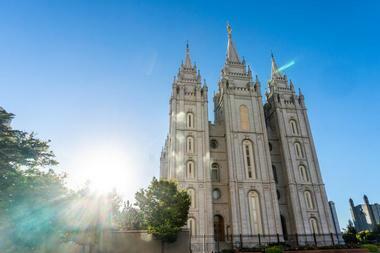 Salt Lake City is known as the world headquarters of the Church of Jesus Christ of Latter-Day Saints, which offers a wide variety of free historic visitor attractions at its Historic Temple Square. The city was also home to the 2002 Winter Olympic Games and offers the free-admission Utah Olympic Park, which preserves Olympic venues and is home to two public museums. For lower-cost public transit throughout the city, visitors can ride buses and light rail trains operated by the Utah Transit Authority. Some attractions are free only on certain days – please check before you go. Utah Olympic Park is a massive winter sports park located approximately 28 miles east of Salt Lake City in Park City. 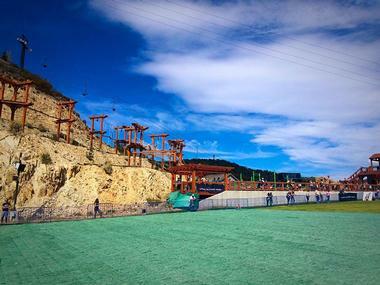 The park, which was constructed in phases beginning in 1991, served as the site for the ski jumping, bobsled, luge, skeleton, and Nordic combined events of the 2002 Winter Olympic Games and has been maintained as a training center for Olympic-level athletes. Visitors can explore two museums at the park's Joe Quinney Winter Sports Center for free, including the Alf Engen Ski Museum, which showcases more than 300 trophies and 70 years of artifacts related to the prestigious skiing family of the same name, along with exhibits related to the state's storied skiing history. The George Eccles Salt Lake 2002 Olympic Winter Games Museum also showcases a variety of exhibits related to the city's Games, including Olympic medals and opening and closing ceremony props. Both museums are open to the public daily between 9:00am and 6:00pm. Historic Temple Square is a prominent 10-acre urban complex owned and operated by the Church of Jesus Christ of Latter-Day Saints within Salt Lake City's downtown district. The square was originally constructed in 1847 following the arrival of Mormon pioneers in the city and is surrounded by a 15-foot wall, serving as the headquarters of the LDS Church. 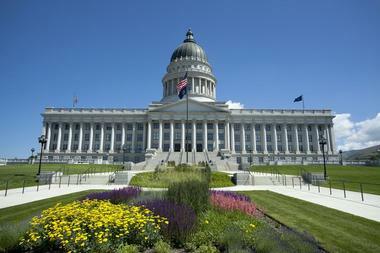 As Utah's most popular tourist attraction, the square attracts five million annual visitors. Two visitor centers at the temple offer free admission daily, showcasing exhibits related to the church's history, operations, and culture. The temple's gardens and grounds also host a wide variety of annual public special events, including a Christmas lighting ceremony that showcases over 100,000 lights throughout the square. 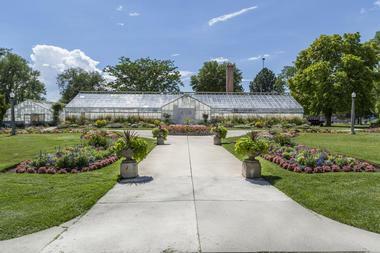 The International Peace Gardens are a public botanical garden facility within Salt Lake City's Jordan Park, originally designed in 1939 and opened in 1952. The garden is operated by the Salt Lake Council of Women's Past Presidents Council and spans 11 acres along the banks of the Jordan River, meant to symbolize the spirit of world peace, democracy, and brotherly love. 28 nationality gardens showcase Utah's diverse ethnic and cultural populations, with garden sections representing countries throughout the Americas, Africa, Asia, and Europe. The gardens are open to the public May through September during daylight hours and are accessible to the public for free every day. The Joseph Smith Memorial Building preserves Salt Lake City's former Hotel Utah building, which was constructed in 1909 and operated for more than 75 years as a world-class hotel hosting United States presidents, celebrities, and acclaimed international guests. 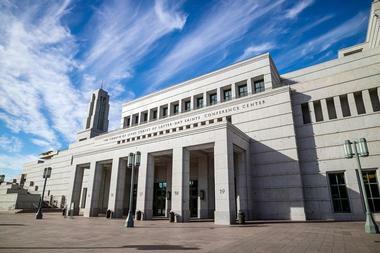 Following the hotel's closure in 1987, the structure was remodeled into a social center venue named in honor of Latter-Day Saints leader Joseph Smith, opened in 1993. The free-admission center is open to the public Mondays through Saturdays and is home to the Garden Restaurant, the Roof Restaurant, and the Nauvoo Cafe, along with 13 banquet rooms and administrative offices for the LDS Church. Visitors can explore the building's ornate architecture and design elements and use its FamilySearch center to research genealogical records. The center's Legacy Theater presents showings of LDS Church films, while its chapel hosts weekly Sunday religious services. 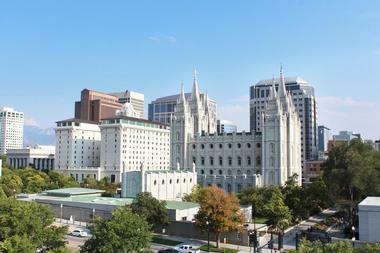 The LDS Church Conference Center is the newest addition to Historic Temple Square, added to the complex in October of 2000. Today, the stunning conference center is the world's largest religious theater, seating 21,000 in its main auditorium and an additional 900 in its proscenium theater. The theater hosts religious services and conferences regularly, including the weekly Music and the Spoken Word presentation by the Mormon Tabernacle Choir, which is open to the public for free Sunday mornings at 9:30am and broadcast around the world. Free daily organ recitals showcase the venue's 7,667-pipe organ, while free guided tours are offered twice daily in the morning and evening. Visitors can also explore the facility's landscaped four-acre roof garden, which features an alpine meadow, wildflowers, and a waterfall. Eagle Gate Monument is an historic arch monument located adjacent to Salt Lake City's Historic Temple Square, originally erected in 1859 at the entrance to LDS Church leader Brigham Young's estate at City Creek Canyon. 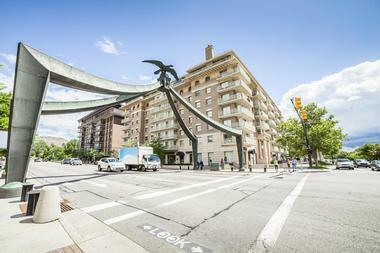 The 76-foot-wide monument was created by Young's son, architect Don Carlos Young, with a beautiful wooden eagle adornment created by Ralph Ramsay. In the 1960s, Ramsay's eagle was removed from the monument to accommodate the widening of State Street and was replaced by a new eagle designed by George Cannon Young. Visitors can view Ramsay's original eagle on display at Salt Lake City's Daughters of Utah Pioneers Museum. 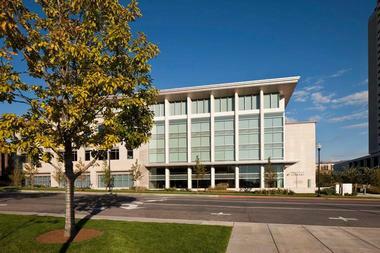 The Church History Library and Archives house an extensive collection of materials related to the history and development of the Church of Jesus Christ of Latter-Day Saints, opened to the public in 2009. The library and archives replace the former LDS Church library building, which was housed within the Church Office Building's east wing. Today, the library's collections preserve significant materials related to the church's founding and the westward expansion of the United States, including more than 270,000 volumes, 500,000 historic photographs and maps, and 23,000 audiovisual items. Local LDS Church histories are also collected, along with church member patriarchal blessings. Visitors can explore the 230,000-square-foot building daily for free and utilize public research services such as the Mormon Pioneer Overland Trail Database, the world's most complete listing of LDS pioneers in the 19th century. 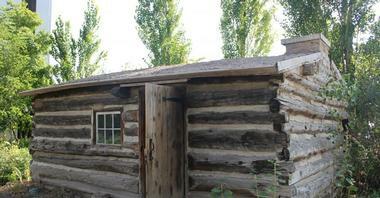 Deuel Pioneer Log Home preserves the former pioneer home of Osmyn and Willian Deuel, early converts to the LDS Church. The family lived in the house during 1847 and 1848, during which time it was located within the grounds that now comprise the city's Pioneer Park. In the early 20th century, the home was acquired by the LDS Church and displayed at the Deseret Museum and Temple Square until 1976. In 1984, it was relocated to its current location near the Museum of Church History and Art, reopened to the public as a living history museum two years later. Today, visitors can explore one of Salt Lake City's oldest intact structures for free daily, furnished with pioneer antiques and artifacts, including a period-appropriate cast-iron stove. 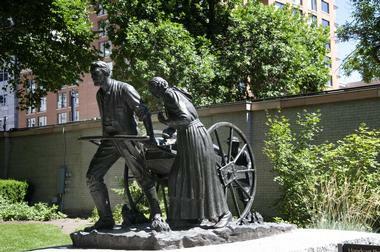 The Mormon Pioneer Memorial Monument is a major Salt Lake City monument dedicated in honor of over 6,000 LDS pioneers who died between 1847 and 1869 as part of the church's westward expansion and settling in Utah. The monument also serves as a final resting place for church leader Brigham Young, who died in Salt Lake City in 1877 after serving as the region's territorial governor between 1850 and 1856. Other significant burials at the site include Eliza R. Snow, who served as the president of the LDS Church Relief Society women's organization for more than two decades and is credited with crafting many of the church's modern hymns. Visitors can explore the monument daily during daylight hours. 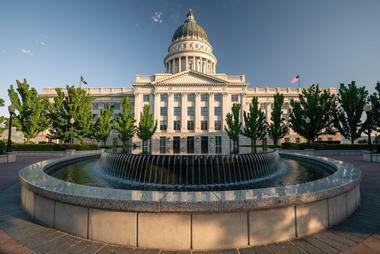 The Utah State Capitol Building is the official seat of government for the State of Utah, holding offices and chambers for the state's legislative and executive branches. The Corinthian-style building, which was crafted by architect Richard K.A. Kletting, was constructed in 1916 and fully renovated in 2004. 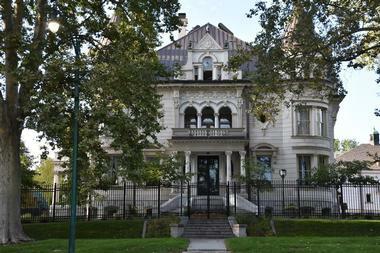 Since 1978, it has been listed on the National Register of Historic Places. Visitors can explore the building's five floors and 40-acre grounds as part of guided tours, which are available for free with advance registration. Tours are offered hourly Mondays through Fridays, with the exception of government holidays, and last approximately one hour. While at the building, visitors can also view the capitol's beautiful Utah heritage artwork and memorials, including its Vietnam War Memorial and Mormon Battalion monument. 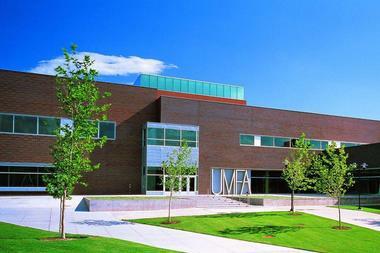 The Utah Museum of Fine Arts is Salt Lake City's premiere cultural and visual arts center, located within the University of Utah's Marcia and John Price Museum Building. Though the museum's roots at the university trace back to the turn of the 20th century, it was officially established in its present incarnation in 1951. Today, the American Alliance of Museums-accredited facility holds a collection of more than 17,000 artworks and artifacts spanning from antiquity through the present day, including works from the Americas, Africa, Asia, Europe, and Oceania. More than 20 gallery spaces showcase permanent and temporary rotating exhibits, which may be viewed for free on the third Saturday and first Wednesday of each month. Free public programming is also presented throughout the year, including programs associated with the museum's ARTLandish environmental art initiative. The Natural History Museum of Utah is a University of Utah campus museum, housed within the university's Rio Tinto Center since 2011. The museum originally stemmed out of natural history collections begun in 1959 and opened to the public in its first location in 1969. Today, it houses a collection of more than 1.6 million natural specimens and research objects, with a focus on the natural and biological history of Utah and the Intermountain West. Significant holdings of anthropology, paleontology, entomology, mineralogy, and botany items are showcased in permanent and temporary rotating exhibits, which may be viewed for free on four select free-admission days throughout the year. 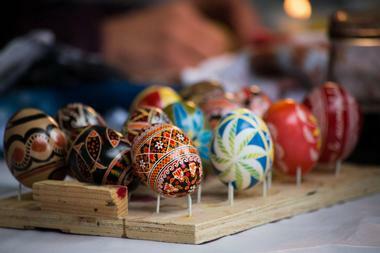 The Living Traditions Festival is one of Salt Lake City's largest free annual festivals, spanning three days throughout May each year. The festival strives to celebrate the city's richly diverse ethnic communities and traditions through a celebration of music, dance, food, and the arts. More than 70 cultural groups are represented at the festival, with performing arts groups such as the Utah ‘Ko Triskalariak Basque dancers, the New Zealand American Society, and the Swiss Chorus Edelweiss presenting performances throughout the weekend. Food vendors, artisan demonstrations, and youth crafting stations are showcased at the free-admission event, which has been held each year for more than 30 years. South Physics Observatory is the official observatory facility of the University of Utah, originally constructed on the roof of the university's South Physics building in 1976. 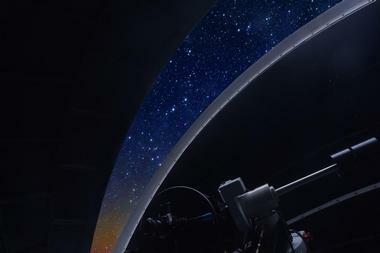 The observatory, which is overseen in cooperation with the Willard L. Eccles Foundation, showcases a 14-foot-diameter sky dome that houses a 14-inch Meade LX200GPS used for astronomical observation. On clear Wednesday nights, the observatory hosts free public star parties, open to visitors of all ages. Visitors may use the observatory's telescope and ask docents questions about science and astronomy topics. Star party times change throughout the year depending on sunset time, with information available on the observatory's website. A number of free public special events are also hosted at the observatory throughout the year, including public lectures and demonstrations. White Memorial Chapel is a reproduction of the 1883 LDS Church chapel of the same name, originally constructed to house the church's 18th ward. Though the original chapel was disassembled in 1973, it was reconstructed in 1976 in celebration of the American bicentennial on land donated to the church by the Utah State Legislature. Following its reconstruction, the church was used to launch the LDS Sunday School program and served as the founding site for Utah's first Boy Scout troop. Today, the church is open to the public for free as a non-denominational chapel, showcasing the building's original Gothic Revival design elements, designed by architect Obed Taylor. Sugar House Park is a public urban park in Salt Lake City, spanning 110 acres throughout the city's Sugar House neighborhood. The park is located on grounds formerly housing Utah's first state prison, Sugar House Prison, which operated until 1951. Today, it offers two children's playgrounds, a 4.5-acre scenic pond and fountains, and more than three miles of visitor walking, jogging, and cycling paths, including a loop path that spans the park's perimeter. Baseball fields, softball fields, and basketball courts are also offered at the park, along with a number of day-use picnic sites and popular winter sledding hills. 10 pavilions are also available for public use with advance reservation for small groups. The park is the site of the city's annual fireworks show and Independence Day concert each July. Henry J. Wheeler Farm is one of the final remaining 19th-century farmsteads within the Salt Lake Valley, listed on the National Register of Historic Places in 1976. The 75-acre farmstead complex was originally established in 1886 by second-generation English Mormon Henry J. Wheeler and features a brick and adobe farmhouse that was constructed in 1898, featuring 11 rooms and beautiful Victorian-style interior decoration. Several outbuildings are also preserved at the farmstead, which was restored as part of Utah's 1976 celebration of America's bicentennial. Visitors can explore the farmstead and its surrounding South Cottonwood Regional Park for free, which is also home to an amphitheatre, multipurpose center barn, and agricultural classrooms for Granite School District. Outdoor attractions include a children's Playground Fort and 40 acres of natural landscape retreat along Little Cottonwood Creek. The Downtown City Library is the main branch building of the Salt Lake City Public Library system, located in the city's downtown district near Washington Square. The unique wedge-shaped library building replaces the city's original public library building, which has now been converted into the Hansen Planetarium and listed on the National Register of Historic Places. It was designed by Moshe Safdie and Associates and offers 240,000 square feet of collections and public-use space, holding a collection of more than half a million volumes and audiovisual materials. 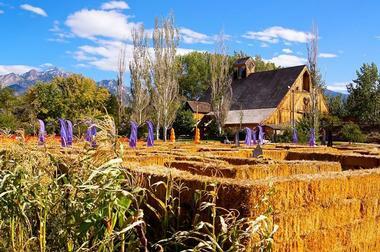 Unique attractions include a rooftop perennial garden, an art gallery showcasing works by local Utah artists, and an extensive graphic novel and zine collection, which is considered to be one of the finest of its kind in the United States. 163 computer workstations are also offered, along with a children's library and a coffee shop. Clark Planetarium is Salt Lake City's new planetarium building, opened to the public in 2003 to replace the city's historic Hansen Planetarium. 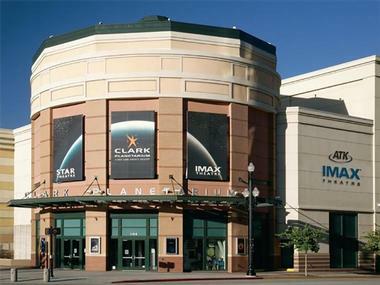 The downtown planetarium facility showcases the nation's first pitless digital planetarium dome and offers 190 seats with individual interactive console controls, along with a certified IMAX large-screen theater showcasing nature and science films. Though planetarium and IMAX showings require a ticketed upcharge, visitors can explore the planetarium's museum for free, which offers three levels of exhibits dedicated to the earth, the solar system, and deep space. Hands-on exhibits include a NOAA computer animation globe, a Foucault pendulum, and an authentic moon rock on permanent loan to the facility from NASA. Liberty Park is one of Utah's oldest and most beautiful public parks, spanning 100 acres throughout southeastern Salt Lake City. The park was originally established in 1882 and is home to historic landmarks such as the 19th-century Isaac Chase Mill, the oldest remaining commercial building in the state. Visitors can explore the Chase Home Museum of Utah Folk Arts or the Tracy Aviary, which is home to more than 135 species of native and endangered birds. Paddleboats are offered on Liberty Lake, and tennis and volleyball courts are available for visitor use. 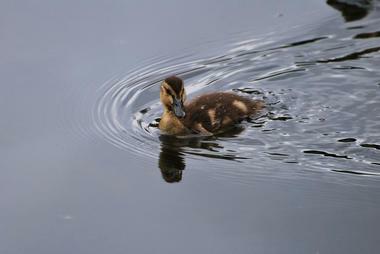 Other attractions include a 1.5-mile walking and cycling path, a swimming pool, and day-use picnic areas. Public special events hosted at the park include drum circles and traditional Sunday get-togethers during warmer months. Salt Lake City Council Hall is an historic building located at the city's Capitol Hill, originally constructed between 1864 and 1866 as the city's former city hall, intended to replace its pre-Utah War city hall building. 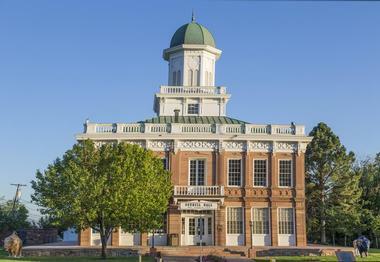 The building was designed in a Greek Revival style by architect William H. Folsom, the official architect of the LDS Church, and crafted from sandstone brought to the region from the state's first chartered railroad. Between 1894 and 1915, the building was used as the city's police headquarters. Today, it is home to the Utah Office of Tourism and the Utah Film Commission and has been listed as a National Historic Landmark since 1975 for its role in conflicts between the United States government and the Utah government. Visitors can explore the building for free daily, which is also home to a ZNHA bookstore and visitor center. The Utah Governor's Mansion has served as the official residence for every Governor of Utah between 1937 and 1957 and again since 1980, listed on the National Register of Historic Places as the Thomas Kearns Mansion and Carriage House. The home was originally constructed in 1902 by United States Senator Thomas Kearns and was designed by architect Carl Neuhausen, best known for his design of Salt Lake City's Cathedral of the Madeleine. Visitors can explore the residence as part of free guided tours, available during the afternoon hours in June, July, August, and December. Advance registration is required for tours at least 24 hours prior to desired visit date and time. The Downtown Farmers Market is Salt Lake City's premiere summer farmers' market, operating for more than two decades out of the city's Pioneer Park. 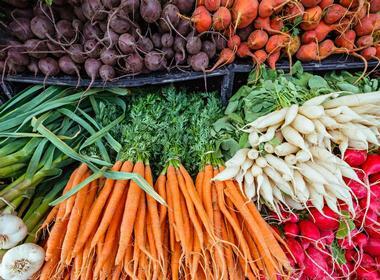 The market is held each June through October on Saturday mornings between 8:00am and 2:00pm, showcasing regional farmers and producers selling fruits, vegetables, meats, dairy, and specialty pantry and baked goods. An arts and crafts market operates adjacent to the main farmers' market, showcasing the works of Intermountain West artisans. Additional Tuesday evening harvest markets are held in August and September at the park, beginning at 4:00pm and lasting until sundown. During the winter months, the market is held at the Rio Grande Depot on Saturdays. 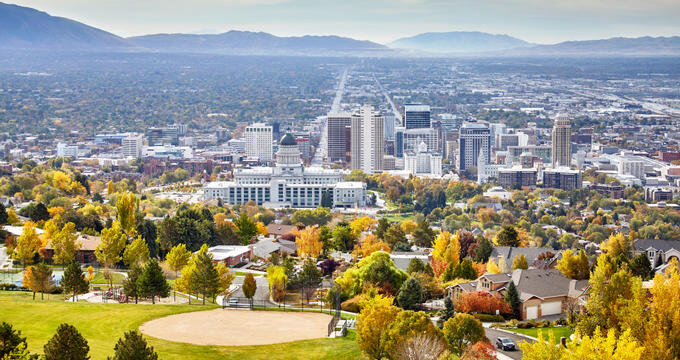 Self-Guided Tours of Salt Lake City are offered by Preservation Utah, allowing visitors to explore the beautiful city's architecture, history, and landmarks at their own pace on foot or by vehicle. Visitors can download the organization's Utah Heritage Walks app on their smartphones or tablets, available for iPhone and Android devices. 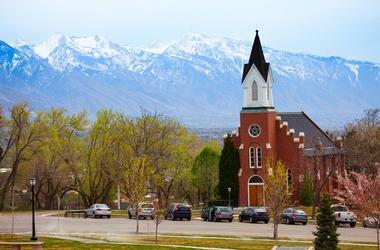 Tour routes focus on locations and topics such as the city's Marmalade neighborhood, Murray's Center District, midcentury modern churches, and the University of Utah campus. Visitors can also print brochures for tours provided by Preservation Utah, including tours focused on the city's religious sites and historic government buildings.